Luder-Wycliffe is pleased to announce our newest model of degree acceleration through the mode of Degree by Dissertation (dissertation/thesis). Although this model (Degree by Dissertation) of learning can be done in a shorter amount of time compared to the traditional course work method, it is by no means less taxing. The Degree by Dissertation program is a very rigorous endeavor, but just as rewarding. NOTE: The Ph.D. degree requirements in the Degree by Dissertation are exactly the same as for the Th.D. Only the subject matter will differ between the two. **The Handbook Description will only include the doctoral level program, since the same protocol is given for the Masters level with the exception of the word count. ** PayPal paying option is at the bottom of this page. Make sure that you fill out your application on the ADMISSIONS Page. Payment and enrollment should be done on the same day. 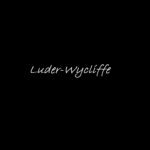 Luder-Wycliffe Theological Seminary offers the opportunity to individuals interested in Theological Studies to earn a Doctorate in Theology (Th.D.) for pastors in ministry who have established themselves in their chosen clerical area and have completed Master’s level study in their major field or endeavor. They should also have significant experience within the parameters of their clerical life. Luder-Wycliffe Theological Seminary considers the completion of a Master’s Degree program appropriate academic preparation for admission to the Doctorate by Dissertation program. We follow the British educational model in this respect. at LWTS. We believe the advanced and experienced Theological student has obtained sufficient academic progress up to this point and is now fully prepared to develop a cohesive and comprehensive dissertation. The primary objective of the program is to provide the opportunity for qualified candidates to produce quality dissertations in an academic environment, working independently, while using the theological school as one of many possible resources. No transfer credit shall be applicable toward this degree, neither shall there be any credit for “work experience” or “life experience.” This is an earned degree and the development of a doctoral dissertation is a major and significant life effort. • Individual participants will have completed a recognized Masters level degree. It is appropriate that this degree be in one of the traditional areas of Christian Religious Studies. • Participants should have at least a few years of meaningful professional ministerial experience (i.e., pastoral, chaplaincy, religious education). But nevertheless, it is not a requirement. Theology, Systematic Theology, Biblical Theology, Theory and Practice of Ministry, Biblical Studies, Christian Ethics, Church History, Christian Philosophy, Pastoral Care, Biblical Counseling, Eschatology, and Apologetics. All, however, must have a firm theological premise upon which they are based. • Participants are expected to be proficient in English language skills. Where English is a second language, it is expected that the participant, at their own expense, shall retain such assistance as to allow them to submit well written and prepared materials as long as the original work and thoughts are of their own creation. • Participants must have access to a computer, appropriate software, email and Internet, and academic library resources. Typically, all work is expected to be submitted and exchanged on-line via the internet. • This program is intended for students who are self motivated and can work independently. As with all programs at LWTS, Th.D. students work with the Dean of Academics as well as other LWTS Professors who may serve as their advisors. Students work independently, communicating with the Dean and/or advisors throughout the process. There is no time limit to complete the Th.D. program. However, at each phase of the doctoral process, prior to progressing to the next element, approval from LWTS is necessary. In order to remain in good standing as an active student, participating degree candidates must demonstrate effective progress toward achieving quality standards at each phase. The candidate must be in ongoing contact with their advisor on a regular basis, which is fundamental to this process. Once the student has been admitted to the degree program, full payment of this fee will be an acknowledgement by the student as accepting the LWTS admission process and to the Doctorate by Dissertation Program which will culminate at its completion with the award of a Doctorate in Theology (Th.D.) degree, once all work has been accomplished, and all fees and tuition are paid. There is no graduation fee at LWTS for this particular degree. The diploma is included in the tuition payments. Once the candidate has been accepted, and has acknowledged that acceptance by paying the registration fee, they will be categorized as a Candidate for the Doctor of Theology degree. Manuscript guidelines for preparation and presentation of the dissertation will be provided to the student when the student has registered as a Doctoral Candidate by payment of the program costs. 1. Determination of the Dissertation Topic. In conjunction with the LWTS, develop a dissertation topic appropriate for this level of academic achievement. All materials for the Degree by Dissertation throughout this process should be transmitted to the candidate’s advisor, which will be appointed once enrolled into the program. 2. Approval. The student will receive official LWTS approval of the dissertation topic. At this time the student may begin developing the research methods philosophy upon which the development of their dissertation with be based. 3. Research Methods Development. Develop and present a strategy for researching the approved dissertation topic. This will include research methods to be used, materials that will be used in this research and location of these materials to the student. Lists of possible primary and secondary sources should be included in this document, whether or not they are actually used in the final development of the dissertation. The length of this document will be solely driven by the nature of the research. The student should be as comprehensive as possible in this process as it will assist and guide them in the development of the final dissertation itself. This is the first document submission after the approval of the dissertation topic and this research strategy must also be approved before continuing on in the process. 4. Obtain Research Methods Approval. Once the dissertation topic has been approved, and the research methods established, the student may then begin to develop the body of the dissertation. As this writing process continues, the student is encouraged to engage the school through the Office of the candidate’s advisor for ongoing reflection, direction and guidance. 5. Submit Initial Dissertation Text for Review. Once the body of thought of the dissertation has been fully developed, it shall then be submitted for evaluation and comment. The submission should only include a Title Page, body of the subject matter, and endnotes (or footnotes). They should be formatted as recommended in the formatting guide. The word count requirement for this degree is 75,000. The body of the dissertation manuscript should meet or exceed 250 double spaced typewritten pages. 6. Dissertation Critique. The dissertation will be critiqued at this point, presenting to the student specific comments, concerns and suggestions for improving the document. These shall be presented in a detailed and identifiable written format for the student’s response. 7. Dissertation Defense.. The student shall then “defend” their dissertation, responding in writing and/or oral to the specifics of the issues raised by the Critique. All items identified in the Critique must be responded to with the student either justifying, in detail, the rationale for the area of concern, or present how they will reconsider the material presented. 8. Rewrite/Modifications to the Initial Dissertation Text. Once LWTS has conferred with the student on their response and come to agreement on any and all issues presented, the changes/modifications will then be made to the body of the dissertation. 9. Submission of Completed Dissertation, Ready for Publication. The rewritten dissertation is submitted in final form including all front matter as required in the Manuscript Guidelines with proper formatting and including (as appropriate) a summary, conclusions, bibliography and appendices. 10. Final Approval — Degree Award. Once the final dissertation document is submitted, and approved, LWTS will award the student the doctoral Degree in Theology. This represents the conclusion of the degree process. No transfer credit shall be applicable toward this degree; neither shall there be any credit for “work experience” or “life experience.” This is an earned degree and the development of a doctoral dissertation is a major and significant life effort. Tuition payments are listed below. Full tuition must be paid prior to the commencing of each program. 1 — Determination of the Dissertation Topic / Proposal Process. During this phase of the process, participants prepare a formal proposal related to their concept of a dissertation topic. The proposal is completed under the direction of the student’s advisor at LWTS. 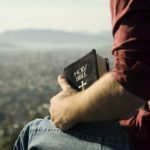 The dissertation topic should be unique and represent a contribution to the theological area of the student’s choice. 2 — Research Methods Presentation. 3 – Conduct of Dissertation Project – Initial Submission of Draft Text. Following approval of the dissertation topic and the research methodology, participants will begin their research project. The dissertation may take the form of a traditional “research” project or it may be a major scholarly project of the type appropriate to the particular theological discipline. Whichever approach to the dissertation is chosen, the resulting project must demonstrate mastery of a body of knowledge in the field and represent a meaningful and original contribution to the betterment of the theological community. The dissertation project may be conducted by quantitative, qualitative, or participatory action research. The body of the dissertation manuscript should meet or exceed 250 double spaced typewritten pages and be structured according to a set of approved manuscript guidelines provided separately. Dissertations must follow the guidelines provided by LWTS for such projects. Following receipt of the research manuscript, it typically takes the faculty two to four weeks to complete the physical review and prepare questions and commentary for student response/defense. The dissertation Critique is intended to allow detailed investigation of the underlying review of the literature, the dissertation methodology, the mechanics of the project, presentation of the findings, and the preliminary conclusions of the doctoral candidate. The student is required to respond in writing and/or oral to each of the points raised by the Critique. This is the “defense” portion of the dissertation process. 5 — Submission of Final, Approved Dissertation. Upon the participant’s completion of the final tasks, submission of the dissertation in publishable form, including completed front matter, abstract, contents, appendices, etc., as well as the receipt of any needed records and documentation, LWTS will issue a letter of completion to the participant. It will then make preparation for issuance of the transcript of record and diploma certificate once all tuition and fees have been paid. Degree by Dissertation tuition costs.